Gift Cards from £5 at The Body Shop Get them something special with gift cards from £5 at The Body Shop. 25% Student Discount at The Body Shop The Body Shop offers a generous 25% discount, so you can get saving on nourishing face, hair, and beauty products. Free Click and Collect on Orders at The Body Shop Introduce convenience to your shopping trip with free click and collect at The Body Shop. Shop Holiday Essentials from £2 at The Body Shop Get all you need for your holiday at The Body Shop! Vegan Skincare From £3 at The Body Shop Check out the cruelty-free and animal product free range at The Body Shop. Free Delivery on Orders Over £25 at The Body Shop Why pay for delivery when you don't have to? Get it for free on orders over £25 at The Body Shop. Gifts From £6 at The Body Shop You'll find a gift for any occasion at The Body Shop. £10 Off When You Spend £30 In-Store at The Body Shop Just use this discount code to get £10 off in-store at The Body Shop! Fragrance From £4 at The Body Shop Cruelty-free fragrance at unbeatable prices, check out the range at The Body Shop. Discover the Vitamin E Range From £5.50 at The Body Shop Around since 1977, you can rely on this range to protect your skin from damage and to make it glow! Enjoy the New Cactus Blossom Range & More From £5 at The Body Shop Quench your skin's thirst with the new Cactus Blossom Range at The Body Shop. Accessories from £2.50 at The Body Shop The perfect addition to your beauty routine, find the accessories at the Body Shop from £2.50. Inspired by nature and healthy beauty, The Body Shop encompasses everything you need for a radiant, natural look. Alongside their offerings of natural beauty, The Body Shop has always worked to limit its impact on the planet. With thousands of stores offering an alternative solution to looking and feeling beautiful, The Body Shop name has grown to be one of the biggest influencers on the high street. Never tested on animals and 100% vegetarian, The Body Shop provides beauty products with a conscience. Before you lose yourself in its world of beauty and pampering, make sure you get everything you deserve with a money-saving Body Shop discount code from vouchercloud. Whilst benefiting the planet, the range of products at The Body Shop also help your skin stay smooth, hydrated and baby-soft. Their range of makeup provides the ultimate natural look, whilst their bathroom and hair products will leave you glowing! The shelves at The Body Shop are categorised into helpful beauty sections- which include bath and body care, hand care, skincare, fragrances and makeup. The delectable body scrubs and body butters from the Body Shop smell so good you could eat them (please don’t)! Perfect for birthday gifts and for every occasion in fact - discover exfoliating scrubs that will leave you feeling squeaky clean, and a matching moisturising butter so that your skin will be irresistibly soft and deliciously scented. Forget the spa, when you can find your favourite original fragrances like shea butter and mango, plus new seasonal picks to choose from like Japanese Cherry Blossom and many more - you can indulge in the ultimate pampering session as nature intended with The Body Shop. How do I use The Body Shop promotion codes? Your discounts will be applied to your The Body Shop order total straight away. Sign up to The Body Shop newsletter and you’ll receive the latest news about offers and discounts in your inbox- so you can skip straight to the beauty deals! Where is the nearest Body Shop? Looking for natural beauty products to improve your beauty regime? If you’d like to pop into your nearest store to test out The Body Shop products for yourself, use the Store Finder online to find the store in your local town or city. Is the Body Shop ethical? The Body Shop has always led the way in sustainable beauty practices. Campaigning against animal testing has always been at the heart of The Body Shop ethos, and as a result, all the products are free of animal derivatives to make them 100% vegetarian, and in most cases vegan too! Endorsed by PETA as a cruelty-free brand, they offer plenty of green and ethical reasons to shop at The Body Shop. What does the Body Shop sell? The Body Shop has everything a natural beauty queen could wish for. Shop for bath and body soaps, shower gels and moisturisers, face skincare, cosmetics, fragrances, haircare and more, plus beautiful gift sets for special occasions. Do The Body Shop products contain parabens? 80% of The Body Shop products are paraben free, and over the next few year’s The Body Shop are working towards a completely paraben-free product range. Standard Delivery is £2.49 - takes 3-5 working days. Next Working Day Delivery costs £3.95 - order by 2pm! You can also reach The Body Shop online via their contact form. Summer is the perfect time to go natural on your beauty and skincare routine. With deliciously scented products to discover that are all made with expertise, you'll find the perfect natural gift for you or another at The Body Shop. What's more, all the raw ingredients are sourced globally from FairTrade approved farmers and are never tested on animals. Add a Body Shop discount code into the mix, and you can save on quality, caring skincare and beauty products. Renowned for the gorgeous gift sets full of bathing products galore, simply head to The Body Shop for all your skincare treats. 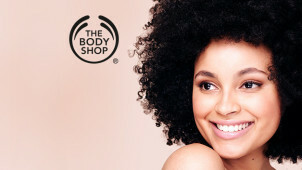 Founded by Dame Anita Roddick in 1976, The Body Shop’s reputation for ethical beauty has always paved the way for other beauty and cosmetic brands. Fast-forward 40 years and The Body Shop has set out new goals to be the world’s most sustainable global business. Their activist attitude towards animal testing and sustainably-sourced ingredients with transparent traceability invite you to take responsibility and use your buying power to enrich the planet, not exploit it. The summer sun is finally here, but we know it can be hard on your skin, so invest in some cruelty-free face care which is sure to protect and enrich your complexion. From the drops of youth range that's the perfect anti ageing treatment to the classic Vitamin E range and many more in between, invest in top skincare using a The Body Shop voucher from us so you can save on great results. Whether your skin is dry, sensitive or just in need of some TLC, The Body Shop skincare ranges boast positive reviews and you're sure to be impressed too!